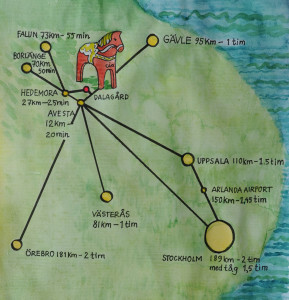 We live in the gateway to the tourist county of Dalecarlia, close to extensive wild country, a big river, great forests, 200 lakes and areas of major cultural interest. Dalagård is located two hours north of Stockholm in southern Dalecarlia. 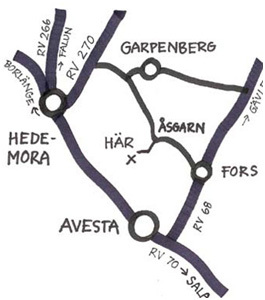 If you are arriving by car, we will give you the route with the order confirmation. by train from Stockholm and two hours by car.